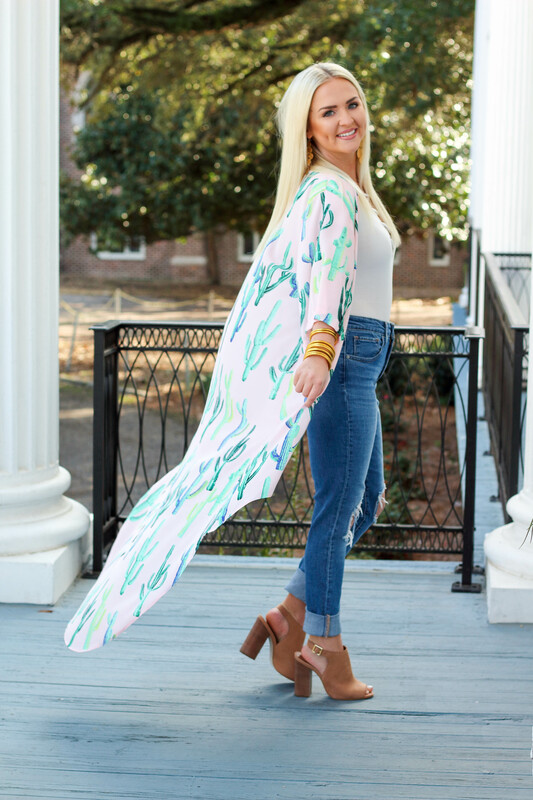 I am back at Atlanta Apparel Market this week, but that didn’t stop me from sharing THE cutest cactus print duster from Pink Possum Boutique! This is a trend that I am super excited about for Spring. I have been wearing my sweater ones nonstop, but they’re being traded in for bright prints and lighter fabrics soon! 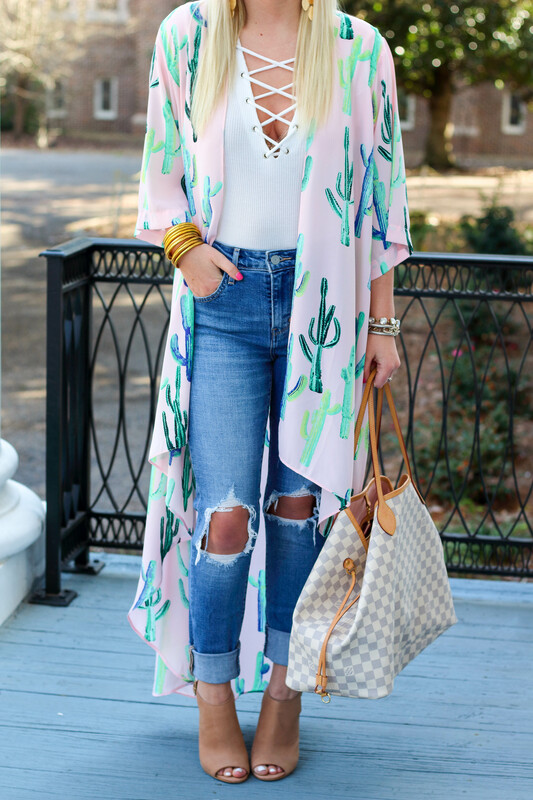 These longer length kimonos can make any outfit look 100% better, and I mean ANY outfit. I threw this on, and it instantly kicked my entire look up a notch! I’m pretty in love with the print, too. 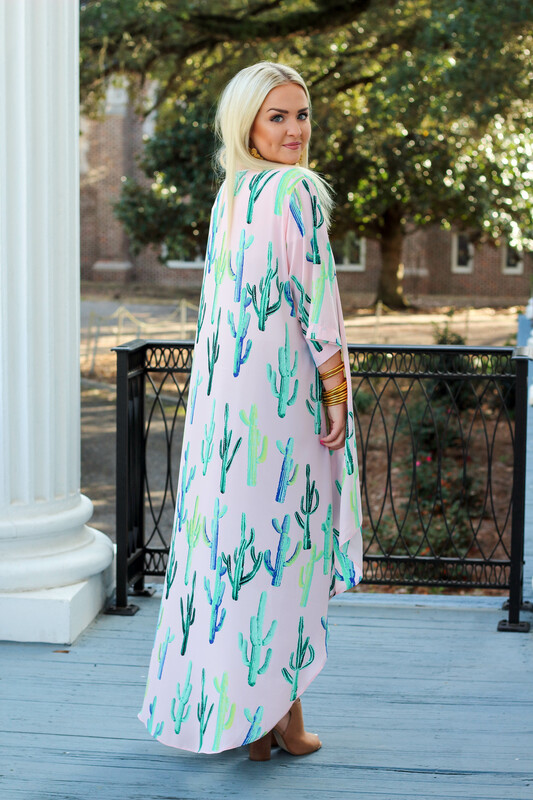 Buddy Love always does a killer job with fun prints, and Pink Possum has lots of similar pieces from this brand in stock on their website and Instagram 🙂 If you order before Thursday, you can have it just in time for Valentine’s Day! PS: Don’t forget to enter my giveaway for a $200 Nordstrom gift card on my Instagram! !